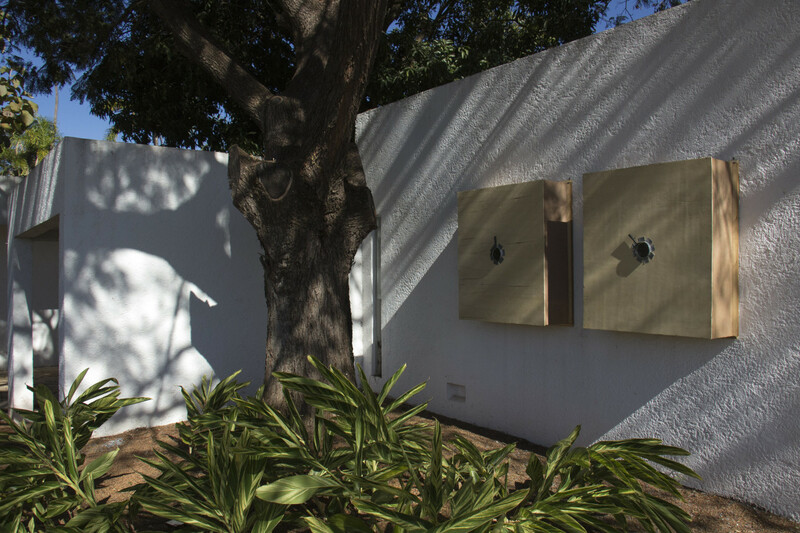 Karla Osorio Gallery presents the solo show of the artist Dirceu Maués (BR), master in visual arts by the UNB and doctorate at the UFMG. 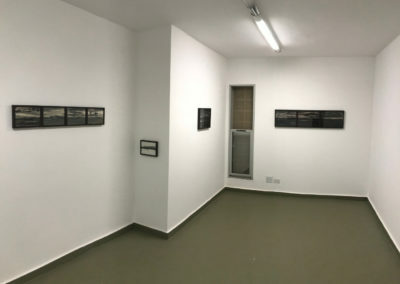 He explores many researches in photography, from the pinhole to create new series with innovative techniques that mix languages that results in artworks. 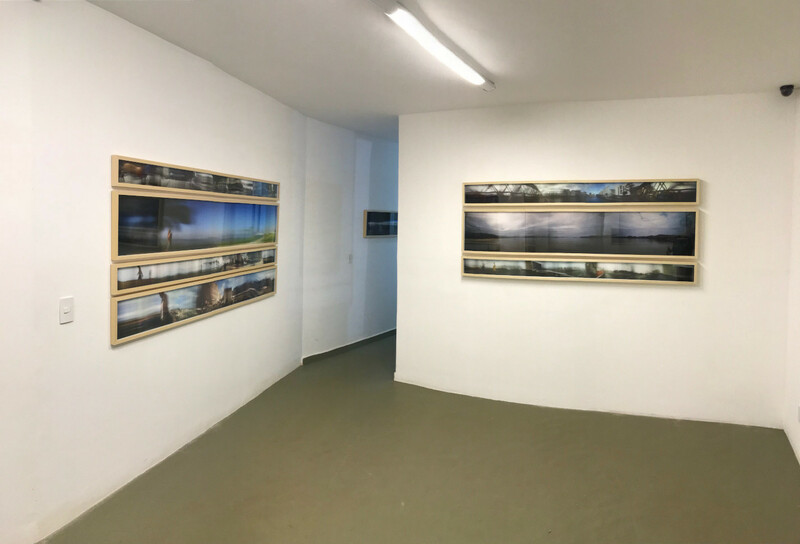 Regards: Devoces | Landscape presents new works – from the past and recent – of 03 (three) distant series that studies the primitive steps in photography, starting from the concept of the camera obscura, pinhole and chemical manipulation in photosensitive surfaces. These traditional techniques are put in perspective with the contemporary methodology, since the processing of the given images are done with the use of digital equipment for scanning negatives and large format printing. The artworks are presented in archival paper and paint with mineral pigmentation. 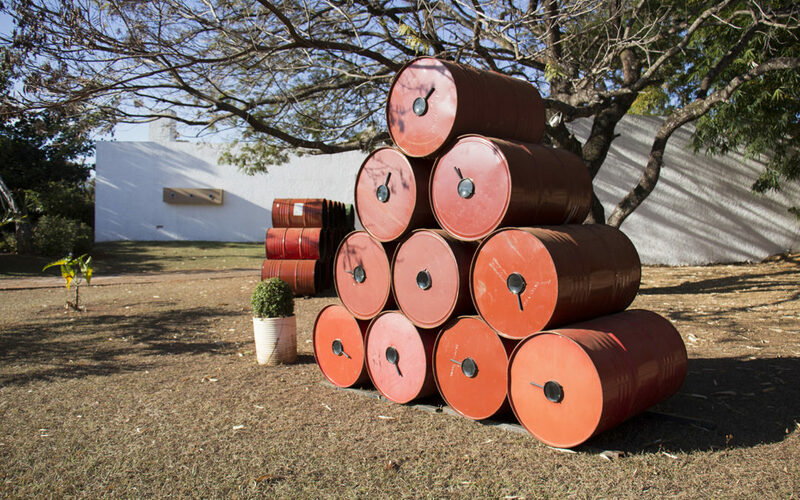 There are as well interactive installations with iron drums and wooden boxes, dialoging with nature and properly occupying the gardens between the gallery’s pavilions. 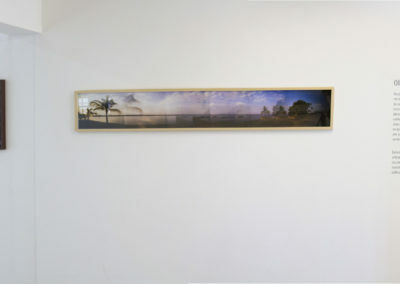 The viewer joins the artwork, from where he can take his own pictures. 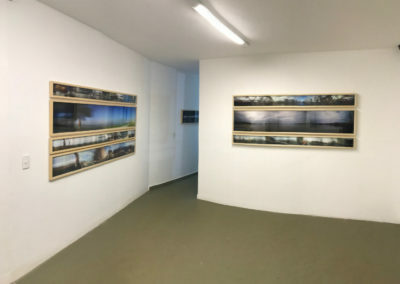 – EXTREME HORIZONS is an urban space panoramic photographic series, made with artisan pinhole cameras. The camera sweeps the horizon under the combination of imprecision and intuition of the movements of the photographer’s hands, that rotates the film and moves the camera at the same time. Every so often in synchrony or desynchrony, while the light penetrates slowly by the small orifice at the device. 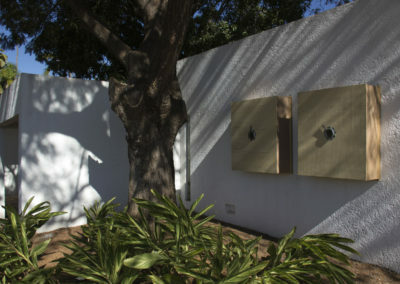 A minimal opening that sensitize the film in its interior. – LANDSCAPE INVERSIONS arises from the research between the relations of the photography, with installations and urban interventions, delimiting a more precise edit to the poetic research. The camera obscura as an element in the construction of three-dimensional work, his intention to work with magic and the enchantment that the ephemeral images projected in the interior of each camera obscura provokes the viewer. – (UN) CERTAIN LANDSCAPE: IMAGINARY OF LIGHT AND SILVER creates certain species of photographic code (chemigram). 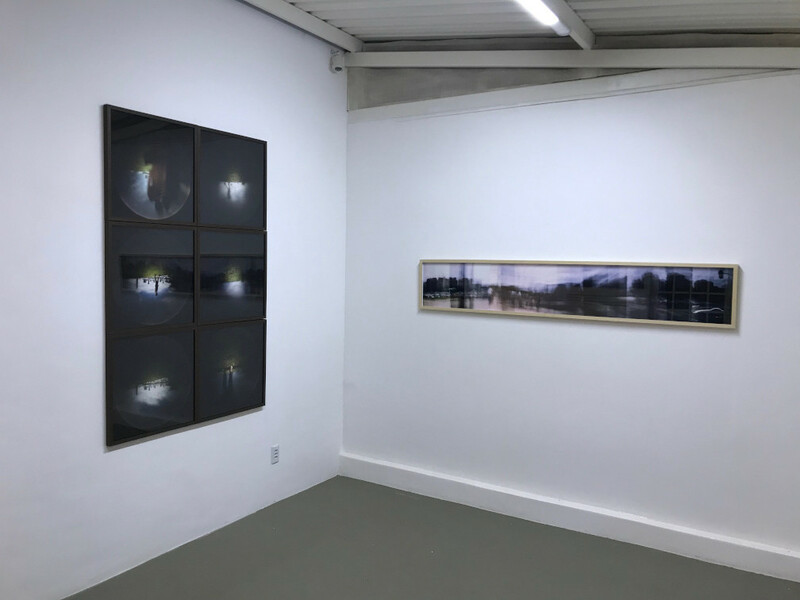 In times of digital manipulation, photography still represents an image that carries certain truth bound to its initial aspects. In this series, it is issued a kind of painting on photographic paper that are generated by chemical reagents. 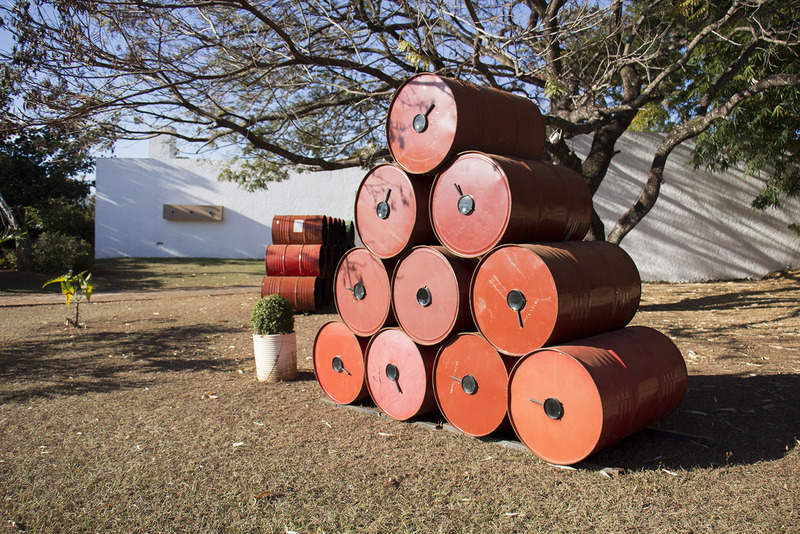 The landscapes are formed by the illusion that the chemical stains suggest to our imagination. Textures and tints creates the illusion of the landscape, that from afar, has a realistic appearance. This effect is shattered in the approach, suggesting that the perception of the world are merely a matter of distancing from things.